We hear lots about virtual reality in today’s world but many of us believe that it is something that is only for those who have access to expensive hardware. That couldn’t be further from the truth because most smartphones are now VR enabled and only require a simple (inexpensive) addition in order to turn them into a tool to immerse yourself in the unique virtual world. 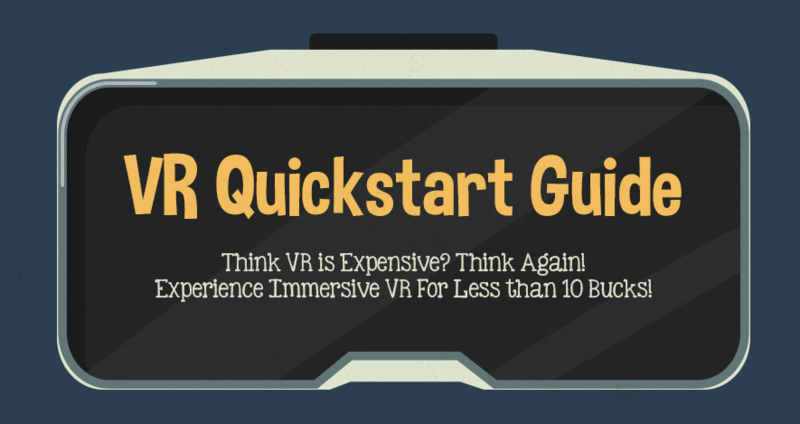 The guys at Carvaka have put together this infographic which includes a step-by-step guide to getting started with virtual reality; it also highlights five fun apps to try out to raise your VR game and it also details some more high specification hardware should you wish to delve further into this wonderful new world.